Spring may be right around the corner, but we have still been having plenty of chilly days (no pun intended.) And the wind–oh my goodness, the wind! 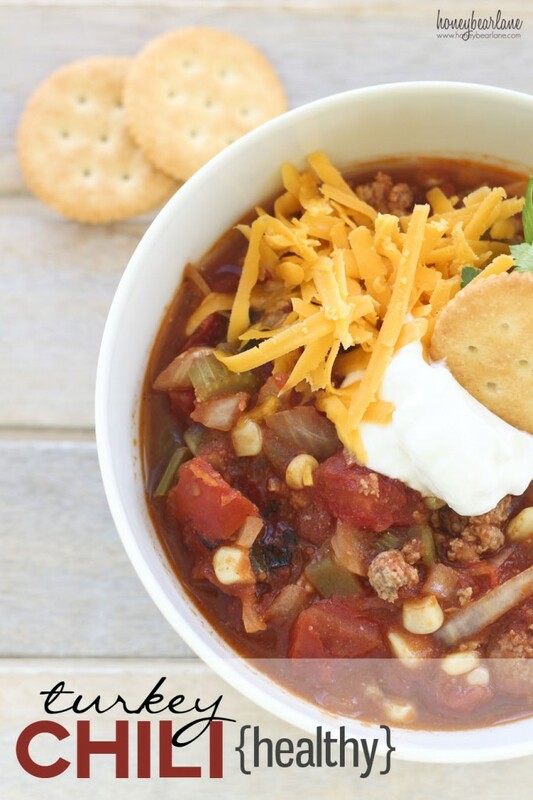 But since I’ve been dying for the weather to warm up since it makes it SOOO much easier to eat healthy and exercise, I have to mix in a few comfort foods with a healthy twist on those colder days. 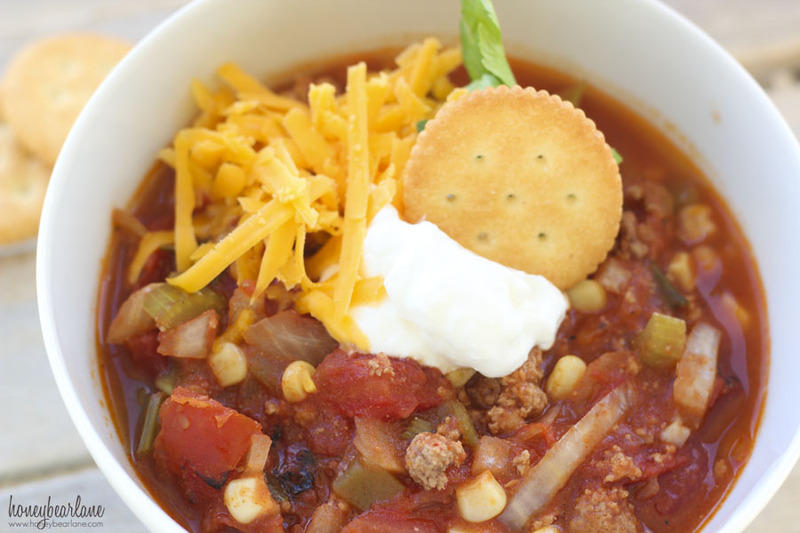 I made a huge batch of this turkey chili last week and it was really good. And then we ate it the next day and the day after that and each day it just got better. The flavors just came alive over the next couple days (of course we refrigerated it in case you were wondering.) It was just such a great hearty meal that you could eat TONS of, get that soup belly feeling, and yet not feel guilty because you still had like less than 300 calories. You could easily make this vegetarian by leaving out the turkey and subbing in some Northern beans for protein. And it’s made in a crockpot so it’s also super easy. Win-win-win. Brown the meat in a frying pan, drain the fat out. Then put all ingredients, along with the turkey, in a crockpot. Let it simmer for 6-8 hours in a crockpot. And PS–there is cheese and sour cream in the picture, but I actually loved it without it too. The flavor is that good! Making the chili this week! What size diced tomatoes do you buy? And how many servings does this recipe make? I just buy the fire roasted ones…not sure what size they are but they are delish! It makes about 4 servings for adults.